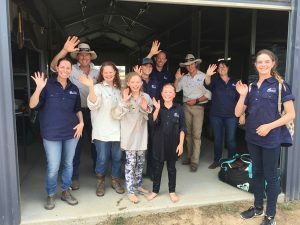 Assisting those who have served to get ‘back in the saddle’ and reconnect through horsemanship. 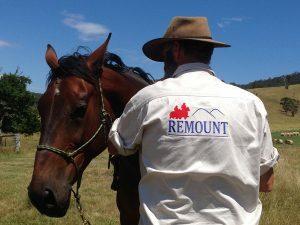 Remount is a not-for-profit organisation delivering horsemanship programs for current and former service men and women and their families, who may be experiencing stress related to their service, Post Traumatic Stress Disorder and/or physical injury. Who wants to come for a muster? Remount is delivered at no cost to all current or former serving members of the military. Two, three and four days programs include onsite accommodation, catering, tuition and workshirts. 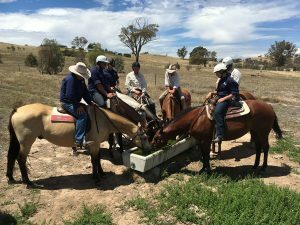 Our experienced team will take you through all aspects of horsemanship and mustering. After-hours activities include leatherwork and enjoying some quiet time around the camp fire. Programs are tailored to cater for all levels of skills and age. Our trainers will work with you one on one to make sure you are matched to the right horse, and that you have a positive experience with the program. Click on the Program Dates 2019 Menu for a full list of available dates this year.